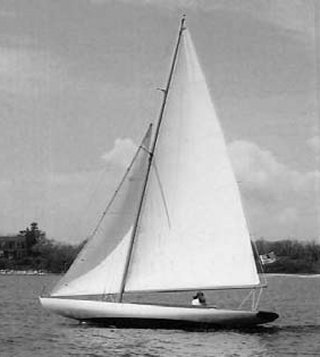 Based on the BUZZARDS BAY 15 (1899). Beginning in 1969, the Frank Hall Boat Yard in Avondale, RI built 25 Watch Hill 15s of fiberglass to the original 1922 design. These have been actively raced at the Watch Hill Yacht Club, RI, USA.